This Coffee Table can be a Set End tables available but NOT included in price. Tables Feature Drawers. Coffee Table Size: 50 x 28 x 20 In. (H). End Table Size: 24 x 24 x 24 In. (H). Dark Oak Finish Coffee Table. Coffee Table Size: 52In L x 28In W x 20In H. Also Available (Not Included In The Price) End Table, Size: 26In L x 26In W x 24In H And Sofa Table, Size: 50In L x 18In W x 28In H. Easy To Assemble. Marble Coffee Table. Beautiful Design. Size: 45-5/8 x 25-1/8 x 16-1/2H.. Also Available (Not Included In The Price) Matching Marble End Table, Size: 27-7/8 x 24-5/8 x 20H.. Easy To Assemble. Cherry Finish Coffee Table. Beautiful Design. The Perfect Choice For Your Living Room. Size: 48L. x 30W. x 18-1/2H.. Also Available (Not Included In The Price) Matching End Table, Size: 28L. x 24W. x 24H., And Sofa Table, Size: 52L. x 19W. x 32H.. Easy To Assemble. This Coffee Set is available in Antique Black Finish. Set includes Coffee Table and 2 End tables. Features Glass in the middle of Coffee Table. Sofa Table available but NOT included in price. Coffee Table Size: 50 x 26 x 20 In. (H). End Table Size: 26 X 22 X 25 In. (H). Sofa Table Size: 48 x 18 x 29 In. (H). 3 Pcs Coffee Table and End table is in a Walnut Finish. Sofa Table available but Not included in price. Coffee Table Size: 48 x 32 x 18 In. (H). End Table Size: 24 (DIA). x 22 In. (H). Sofa Table Size: 48 x 18 x 28 In. (H). Cappuccino Finish Coffee Table With Extension Leaves Built In. Made From Birch Solids And Veneers. Coffee Table Size: 48In L x 30in W x 17In H. Also Available (Not Included In The Price) End Table, Size: 24In L x 24In W x 22In H. Easy To Assemble. Cherry Finish Coffee Table With PArquet Design And Clipped Corner Table Base. Dimensions: 50L. X 30W. X 20-1/4H.. Also Available (Not Included In The Price) End Table, Size: 27L. X 24W. X 23H., Sofa Table, SIze: 50L. X 18W. X 29-1/2H.. Easy To Assemble. Wood Coffee/End Table 3-Piece Set With Metal Leg In Pine Finish. Coffee Table Size, 50 3/8 x 28 3/8 x 18 3/4H. End Table Size, 24 3/8 x 24 3/8 x 23H. Strong Construction. Easy To Assemble. IEM4234. This 3 pcs Coffee Table Set is only available in Cherry finish. Set includes Coffee Table and 2 End Tables. Coffee Table Size: 48 x 28 x 17 In. (H). End Table Size: 22 x 20 x 20 In. (H). 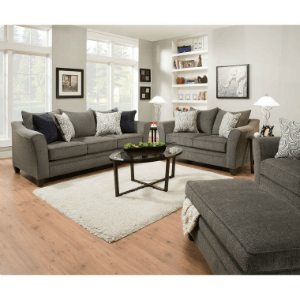 3-Pc Dark Oak Finish Occasional Set. Includes Coffee Table And 2 End Tables. Easy To Assemble.Details: Coffee Table Size; 48 In. (L) x 24 In. (W) x 16 In. (H) And End Table Size: 24 In. (L) x 24 In. (W) x 20 In.(H). 3-Pc Hand Carved Cherry Table Set. Strong Construction. Details: Cocktail Table 869-01 (WD) 54In x 28In x 17InH and Two End Tables 869-02 (WD) 28In x 26In x 22InH. Also Available Not Included In The Price Sofa Table 869-03 (WD) 52In x 19In x 30InH and Square Cocktail Table 869-04 (WD) 40In x 40In x 17InH. 3-Piece Wood Coffee/End/Sofa Table Set. Coffee Table Size, 48x24x16H. End Table Size, 22x20x20H. Strong Construction. Easy To Assemble. IEM4506. 3 Pcs Table Set includes Coffee and Two End Tables. Coffee Table Size: 50 x 26 x 20 In. 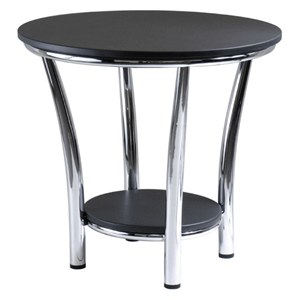 (H).End Table Size: 24 x 22 x 23 In. (H). Ilisa Cocktail Table Size: 50 In. x 30 In. x 20 In.(H). Also Available (Not Included In The Price) Ilisa End Table Size: 20 In. Round and Ilisa Soda Table Size: 48 In. x 18 In. x 30 In.(H). Strong Construction. Easy to assemble. Pine Cocktail Table 838-01 (WD) 50In x 29In x 18InH. Also Available Not Included In The Price) Pine End Table 838-02 (WD) 24In x 26In x 23InH and Pine Sofa Table 838-03 (WD) 52In x 17In x 30InH. Strong Construction. Brown Finish Occasional Tables With Tile Insert. Beautiful And Unique Design. The Perfect Choice For Your Living Room. Details: Coffee Table Size: 38L. x 38W. x 19H., End Table Size: 26L. x 26W. x 24H., And Sofa Table Size: 50L. x 18W. x 30H.. Easy To Assemble. 3-Piece Pack Coffee Table. Coffee Table size, 45x24x16 H. End Table size, 24x22x21 H. Easy to Assemble. Acme 6241. 3-Piece Pack Coffee End Table Set. Coffee Table Size, 48x24x16H. End Table Size, 22x20x20H. Easy To Assemble. Acme 7132. Walnut Finish Occasional Tables. Details: Coffee Table Size: 48In L x 22In W x 18In H, End Table: 24In L x 20In W x 21In H And Sofa Table: 48In L x 16In W x 29In H. Strong Construction. Oval Cocktail Table 3370-00 (WD) 45In x 27In x 16InH. Also Available (Not Included In The Price) Rectangular End Table 3370-03 (WD) 26In x 20In x 21InH, Sofa Table 3370-04 (WD) 48In x 16In x 29InH and Oval End Table 3370-06 (WD) 27In x 23In x 21InH. Strong COnstruction. Ambassador Cocktail Table 3113-01 (WD) 48In x 32In x 21InH. Also Available (Not Included In The Price) End Table 3113-02 (WD) 28In x 26In x 25InH and Sofa Table 3113-03 (WD) 48In x 18In x 30InH. Strong Construction. 3 Pc Contemporary Design Occasional Set In Cappuccino Finish. Includes Coffee Table And Two End Tables. Strong Construction. Easy To Assemble. Details: Coffee Table: 47 In. (L) x 30 In. (W) x 18 In. (H) End Table: 24 In. (L) x 24 In. (W) x 22 In. (H). 3-Pc Oak Finish Coffee Table Set. Details: End Table: 21L. X 22W. X 20H.. Coffee Table: 48L. X 25W. X 16H.. Easy To Assemble. A Twist Of Storage And Style, This Contemporary Styled Group Allows For Plenty Of Storage And Display Space. Finished In A Rich Cappuccino With Brushed Silver Drawer Pulls. Coffee Table, Sofa Table And End Table Are Available And Sold Separately. Details:Coffee Table: 50In.L. x 30In.W. x 19In.H..End Table: 23-3/4In.L. x 23-3/4In.W. x 24In.H..Sofa Table: 50In.L. x 18In.W. x 30In.H..
Coffee Table Set C-638 (E&S). Solid Wood. Strong Construction. Available in Coffee Bean and Light Cherry Finishes.The End Table is sold by separately.Sizes: Coffee Table Size: 36W x 20D x 15H, End Table Size: 18W x 18D x 19H. 3-Pc Cherry Occasional Set 2923 (WD). Includes Cocktail Table 52In x 27In x 18InH and Two End Tables 24In x 22In x 22InH. Also Available (Not Included In The Price) Cherry Sofa Table 2898ST (WD) 50In x 18In x 28InH (Smoked Glass Inserts). Strong Construction.